Fargo is covered in art. Literally. Everything from the buildings to the electrical boxes are coated with the amazing works of local artists. Every few blocks a new mural awaits. 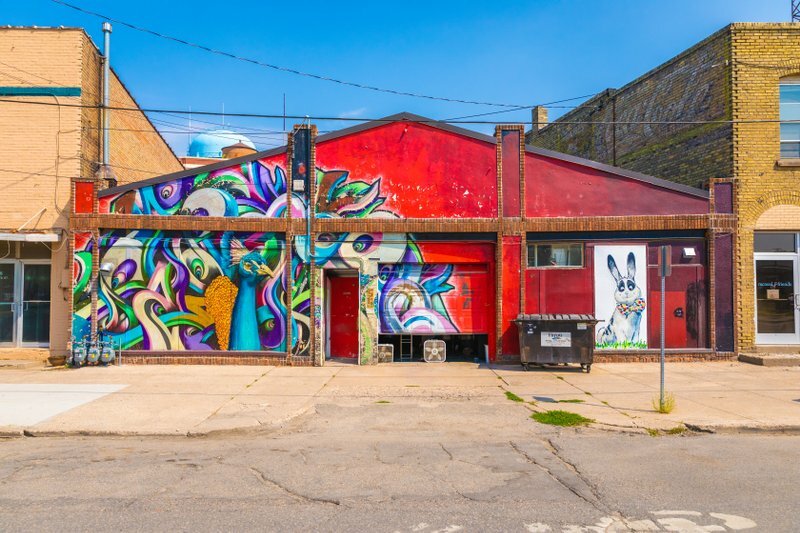 Below is a list of some of the murals in the Fargo are that you can check out. We’ve created a handy map that you can print and take with you. Jump in, get involved, and get that perfect Instagram shot with one of these murals. 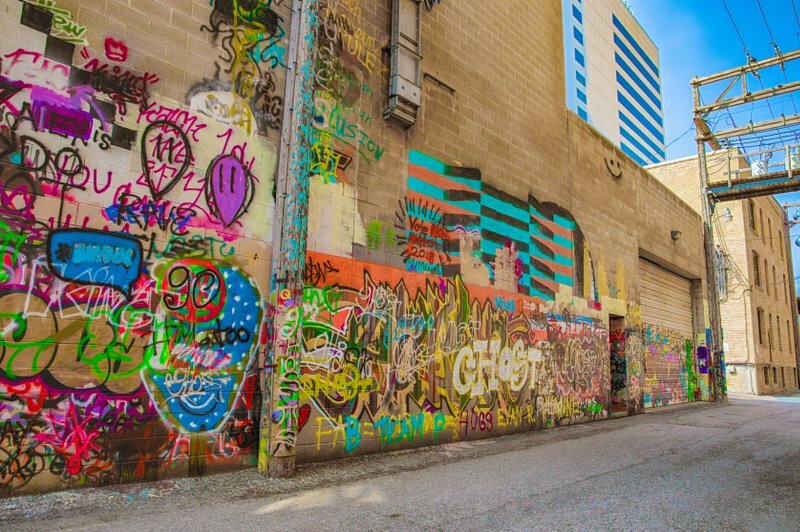 In 2015, the alley behind The Forum building was designated as a legal street art wall. Since then, the art of this alley has changed frequently. Walk through and see what’s new. 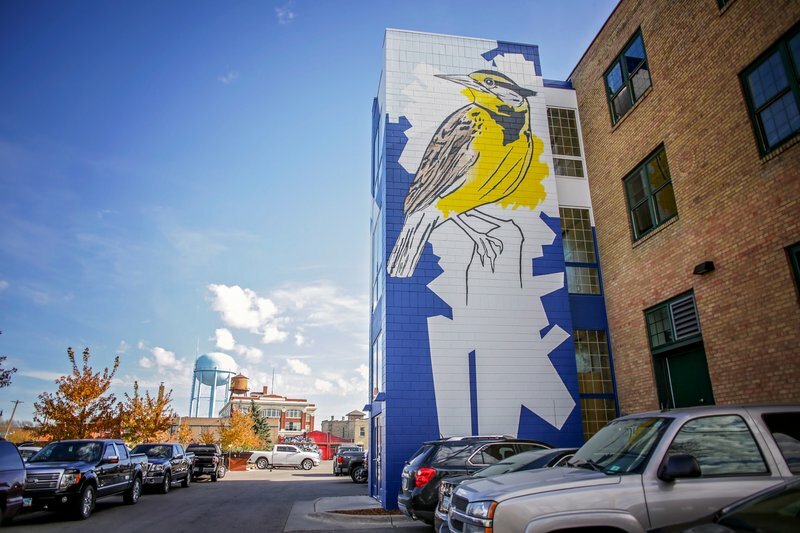 Completed in the summer of 2018 by artist Hideuhs, Bird Up covers the entire south wall of 409 Broadway, right in the heart of Downtown Fargo. 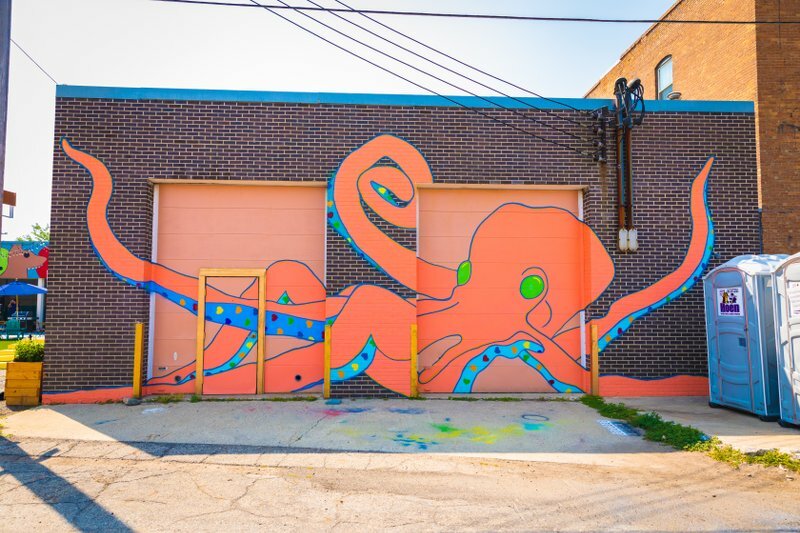 On the east side of the same building, you’ll find Butter the Octopus stretching its legs across two garage doors and waving a rainbow flag to passersby. Olivia Bain is the artist in charge of this cool mural as well. 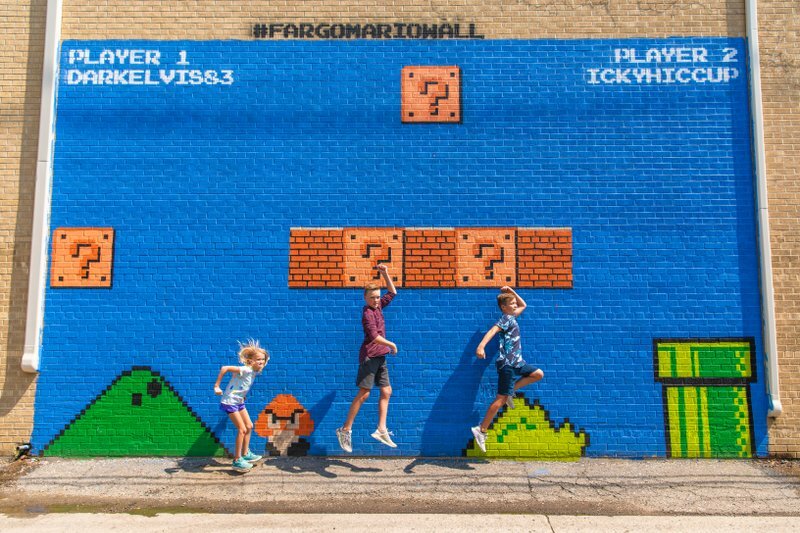 Two local artists – Dark Elvis and Icky Hiccup – channeled their inner Mario and Luigi to create this interactive (and hugely popular) #FargoMarioWall just behind the Pickled Parrot. 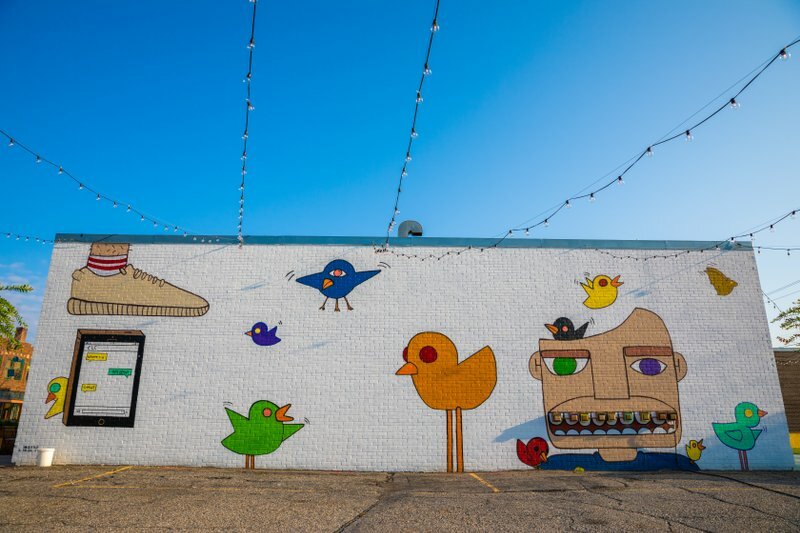 This peacock mural has become so iconic in Fargo, it seems like it’s been around much longer than it actually has. 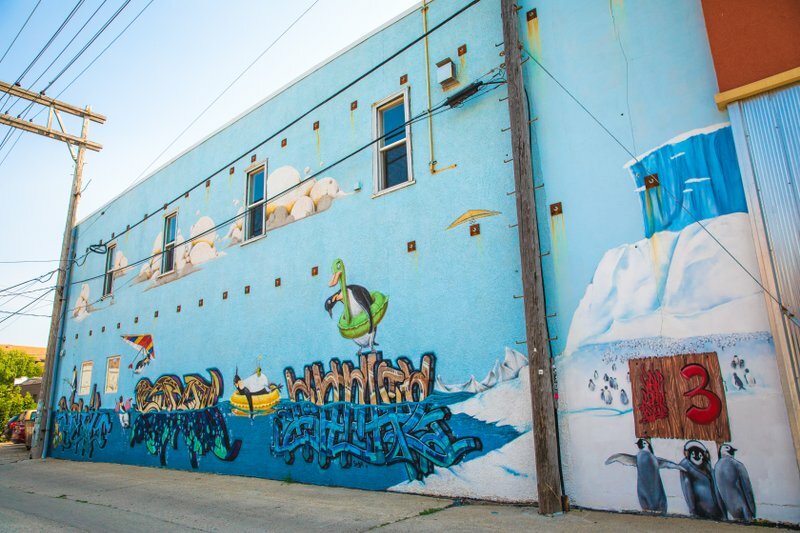 Painted by Paul Ide in 2010, the mural adds a wonderful vibrant pop of color to Roberts Street! There’s so much to appreciate about this mural. First of all… penguins. Who doesn’t love penguins? Especially penguins that are hang gliding, fishing and using floaties. This painting was done by Paul Ide in 2011 as part of ‘Hip Hop Don’t Stop,’ an event that happened annually in Fargo from 2009 to 2011 and featured aerosol art creation. 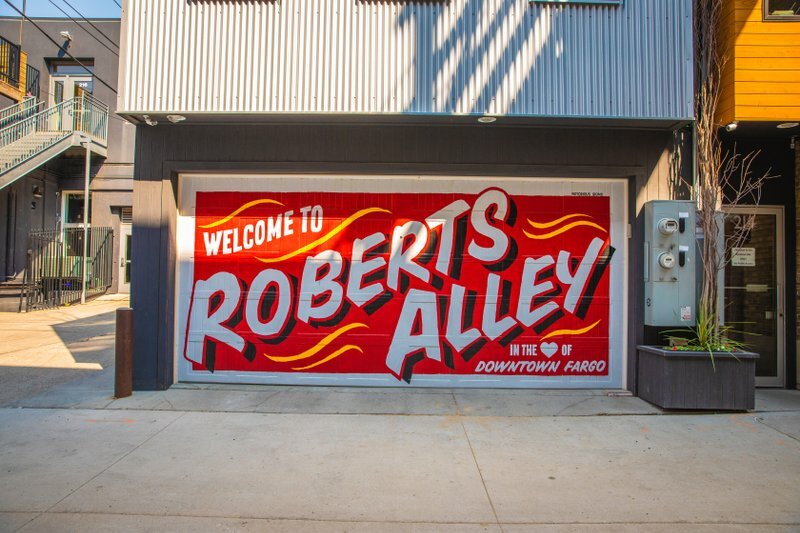 Create your own postcard-worthy shot in front of this ‘Greetings from Roberts Alley’ mural, adorning a large garage door tucked inside this hotspot of activity in Downtown Fargo. 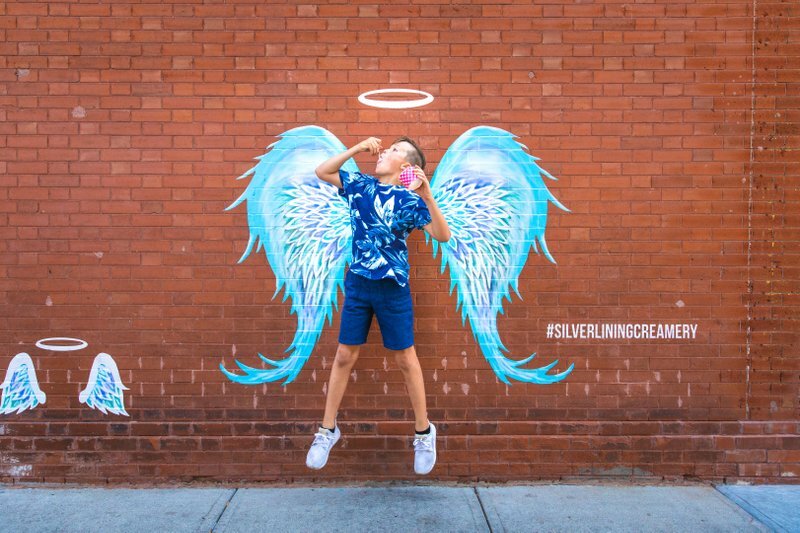 One of the most photographed murals of the last year, the wings outside of Silver Lining Creamery create a fun, interactive shot for people (and dogs) of all sizes. 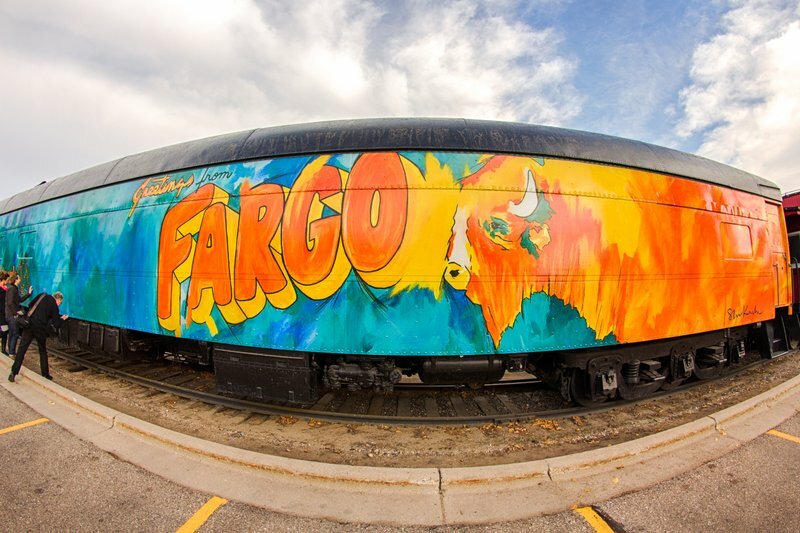 Another masterpiece by Steve Knutson, visitors and locals alike head to the Greetings from Fargo train car to commemorate their time in our fine city. Another very North Dakota-esque painting, this mural is a nod to the prairie heritage that many in the Fargo-Moorhead community relate to. According to the artist, Paul Ide, he used the imperfections of the surface as design elements, and that makes the mural even more beautiful. 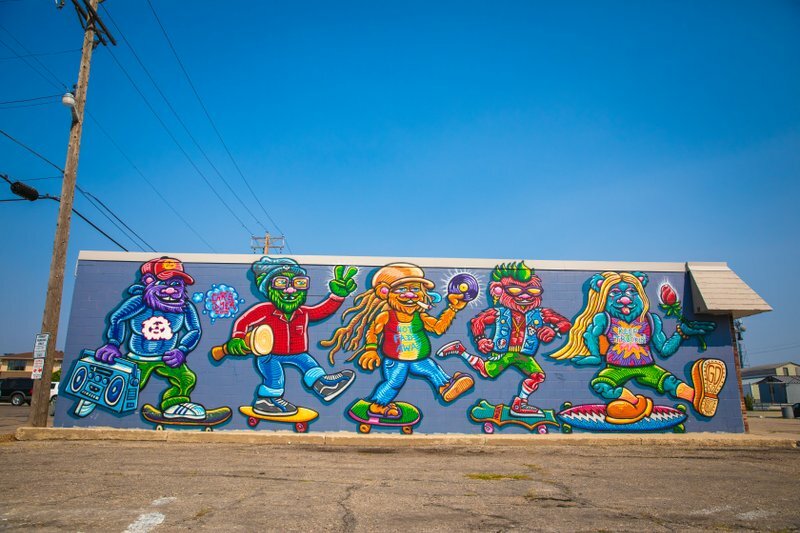 Chris Dyer’s Skateful Dead Bears mural is brilliant. Completed in August 2015, you don’t have to be into skating or Grateful Dead to be intrigued by this piece. 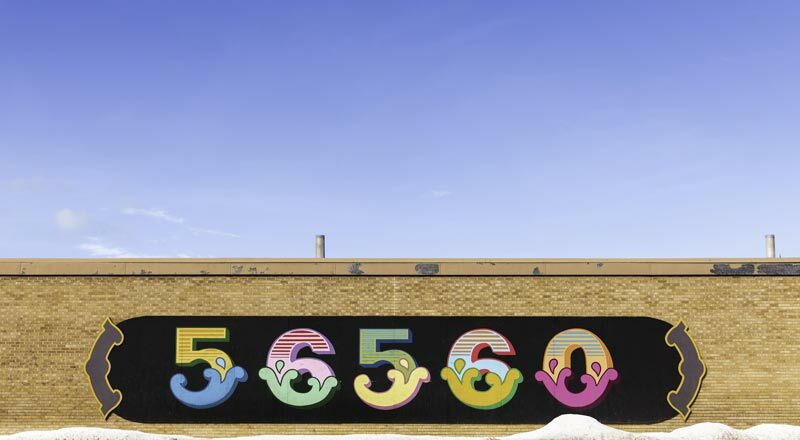 Completed summer 2016, this mural depicts the zip code of Fargo’s sister city on the Minnesota side of the river, Moorhead. 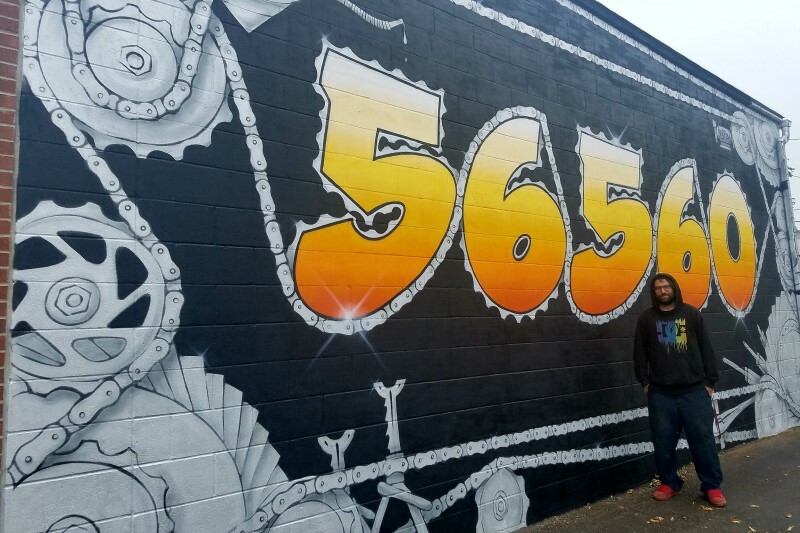 Completed in September 2017 by mural artist Grant Hicks, here’s a second opportunity to get a photo with that notable Moorhead zip code. These murals aren’t interactive, but they’re every bit as fun to check out! 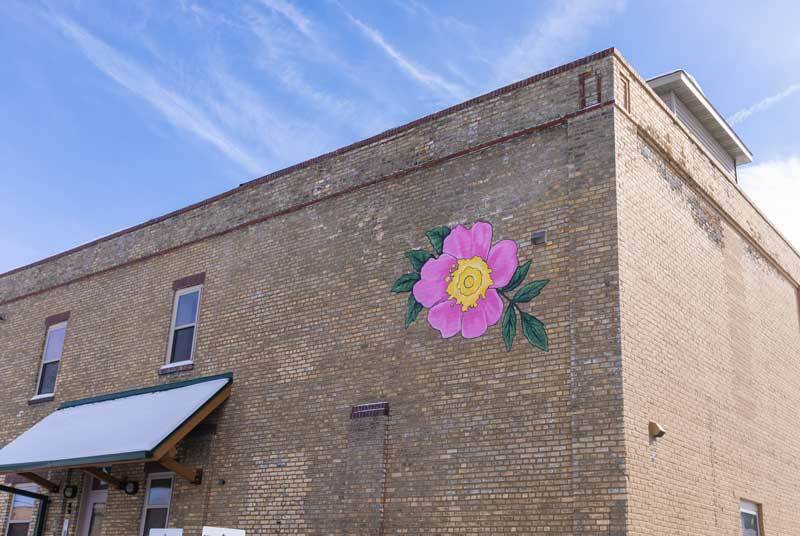 North Dakota’s state flower, the Wild Prairie Rose, is painted on the aptly-named Prairie Rose Lofts in Downtown Fargo. The artist, Steve Knutson, has created several pieces of art that celebrate North Dakota. The Meadowlark, North Dakota’s state bird, is another painting by Steve Knutson. 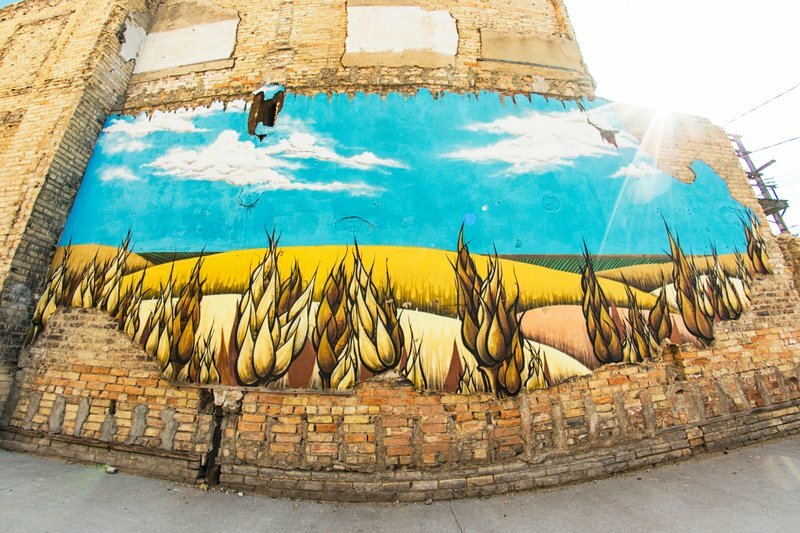 The Meadowlarks are painted on the side of what is called the Meadowlark building, an office building located in Downtown Fargo. There are two birds painted on the building, one on the east side and one on the west side. 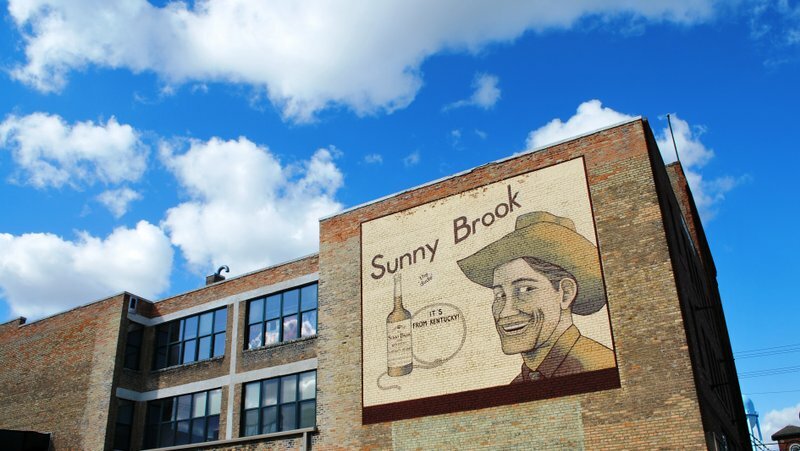 This mural showing a cowboy and a bottle of Sunny Brook whiskey is one of the older ones in the Fargo-Moorhead area. The painting was originally done in 1949 by Charles Selberg, an artist originally from Grand Forks who went on to do many impressive things with his life. The painting was whitewashed shortly after its completion by a group against the consumption of alcohol. In 2003, E. Chandler O’Leary, an artist originally from the Fargo-Moorhead area, restored the painting. Our local breweries interweave their locations with local artists. These are some of the top spots to check out. 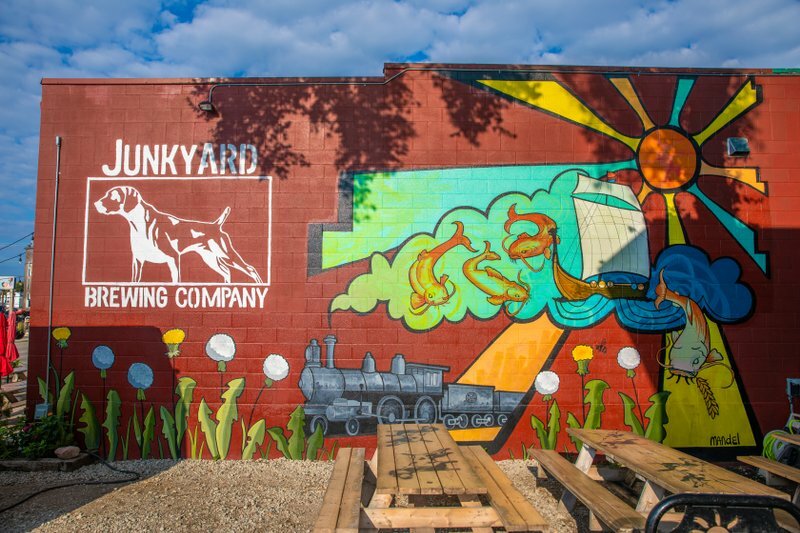 Created by artist Mandel Mertz, this mural on the exterior of Junkyard Brewing Company represents some of Moorhead’s history. The Hjemkomst Viking Ship, a catfish and various other elements are featured in the mural. Punchgut, a well-known local artist, finished this masterpiece on the interior wall of Drekker’s newest brewery location, Brewhalla. Grab a beer (whose label was also designed by Punchgut) and head to the back room to get your picture in front of this captivating wall. The oldest brewery in Fargo recently got a makeover from Fargo-based sign company, Upper Hand Signs. 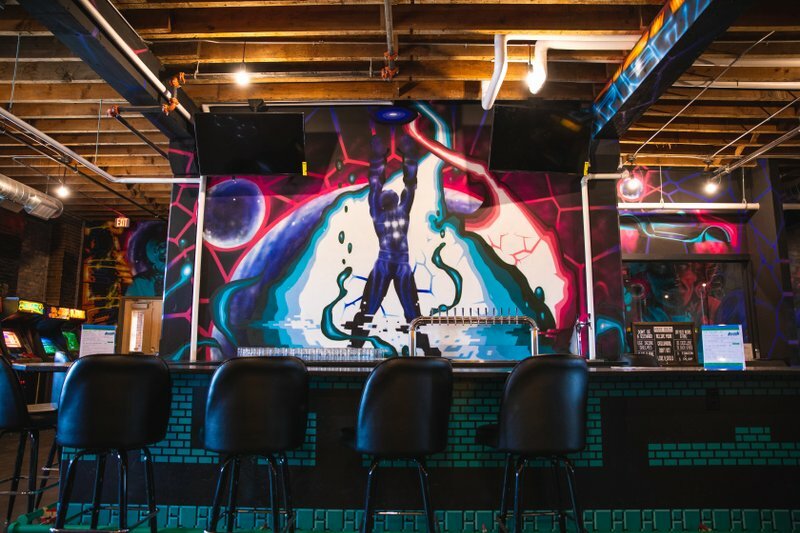 Grant Hicks worked his magic inside Fargo’s first-ever arcade and brewery, Pixeled Brewing. Besides over 50 arcade games, you can find his murals adorning almost every free inch of wall space.